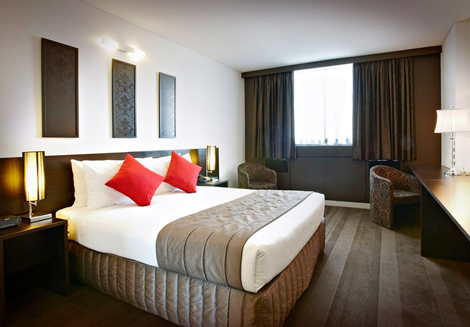 Accor has opened a Mercure hotel near London Heathrow airport. The 184-guestroom Mercure London Heathrow Hotel is located in the former Comfort Hotel Heathrow building off Shepiston Lane in Hayes. The fully refurbished property is less than two miles from the airport and is close to the M4 and M25 motorways. Each room comes with air-conditioning and laptop-sized safes. Facilities include free wifi, meeting rooms, a restaurant and bar, a Costa coffee shop and a gym. A chargeable shuttle service operates between the hotel and the airport between 0400 and 2300. The hotel is opening under a franchise agreement with Crimson Hotels. Mercure currently has more than 700 hotels in 52 countries. Last month, Accor outlined plans to open seven Ibis hotels in the UK, including one at London Heathrow airport (see news, February 4).